Chocolate is not just a symbol of love, it's a symbol of power, trade, and worker exploitation. Sampeck said it was also used as a currency before and during the Spanish conquest of Meso-America. Sampeck said silver was the $100 bill and cacao beans were the fives and tens. "They were using it for commerce. So, it was connecting people in this kind of global way. It united a lot of disparate areas where people were fighting each other, but they were using this cacao currency," said Sampeck. Sampeck said the Aztecs even took care to conquer the main cocoa producing regions of Mexico near present day Guatemala and El Salvador to assure their supply. When the Spanish came in, they had a system of control already set up and the region became important to them as well. Sampeck said the chocolate symbol of courtly love also is a way to connect morality, show political independence, and to proclaim sovereignty. For instance, Sampeck said there is a story of a medieval bishop banning drinking cocoa in church only to have a lot of parishioners move to rural churches where the rules were not as strict. "Then he proclaimed that any priest serving mass to people serving chocolate will be excommunicated. What happens to this bishop? Not too long after he dies, after drinking what is said to be a tainted cup of chocolate," said Sampeck. In that sense, Sampeck said, chocolate is worth killing over. 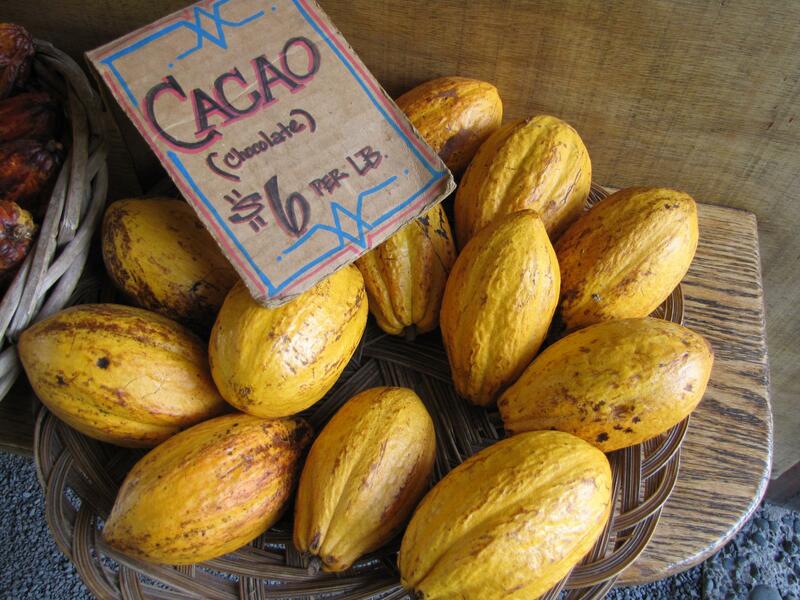 It was also cultivated in Africa and benefitted from the slave trade as late as the 1830's. Sampeck's contemporary work focuses on the, still often exploited, producers of cacau. She said a little bit of education in the groves can make a huge difference in product quality and worker income. Sampeck will give a talk on chocolate at 7 p.m. on the evening of February 21st at the ISU Alumni Center. There will also be free samples of Askinocie Chocolate, a direct trade firm that tries to demystify the connection between farmer and product. Sampeck said from the earliest uses of the cacao bean to the creamiest modern confection, chocolate embodies globalization.